We’re delighted to have been featured in The New Londoners – a piece called Each journey entails a hundred possibilities written about our work with the Jesuit Refugee Service in Wapping. PEN has been working with asylum seekers and refugees at the JRS for over a year now, sending in writers such as Malika Booker and Fathieh Saudi to run life writing workshops – and to have a lot of fun along the way. 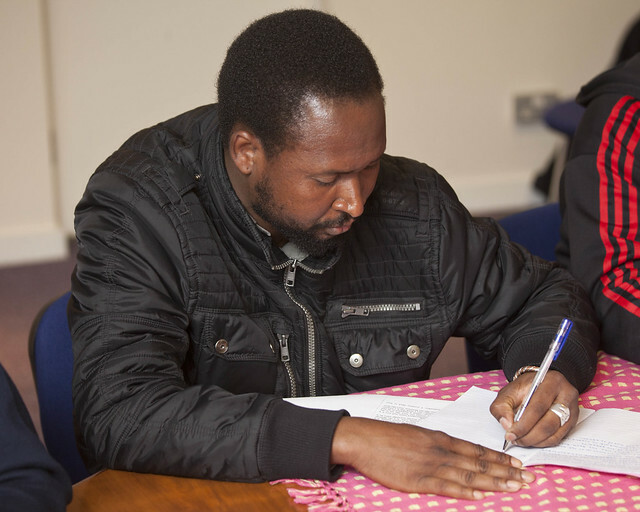 Find out more about our work in refugee centres.